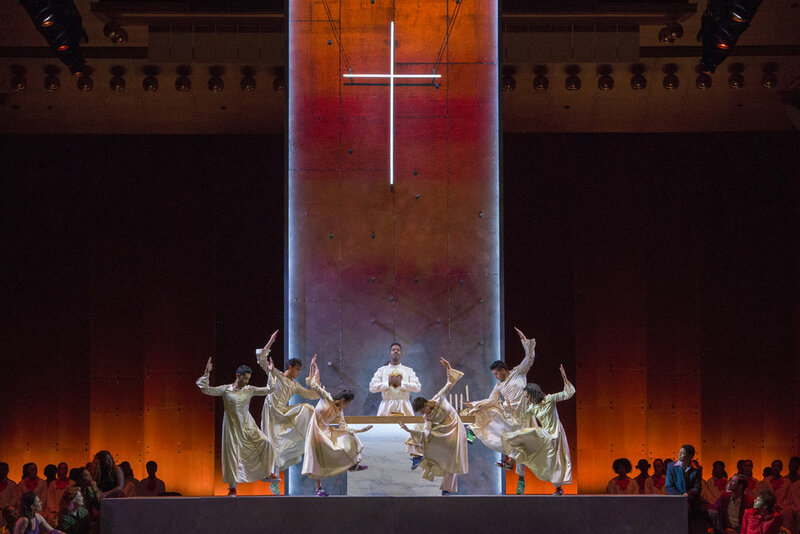 "'Mass' is both dated and timeless, and this production, directed by Elkhanah Pulitzer and conducted by Louis Langrée, manages to embrace both of those qualities and make the show work." 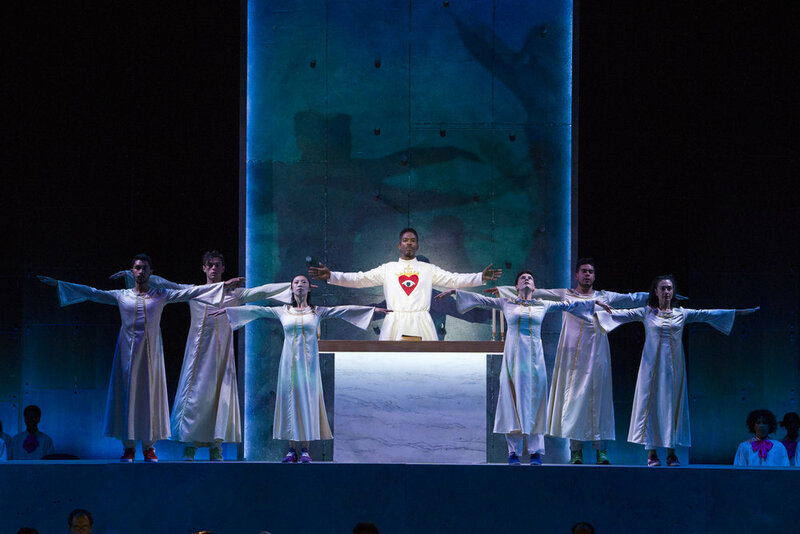 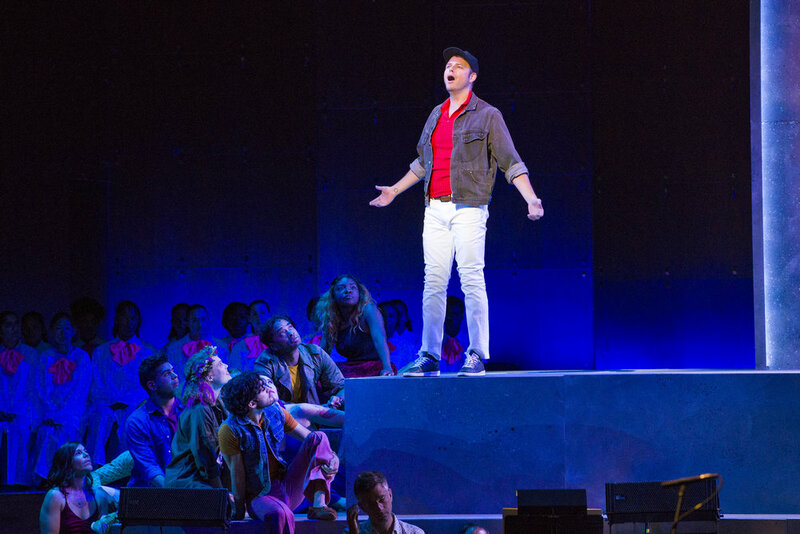 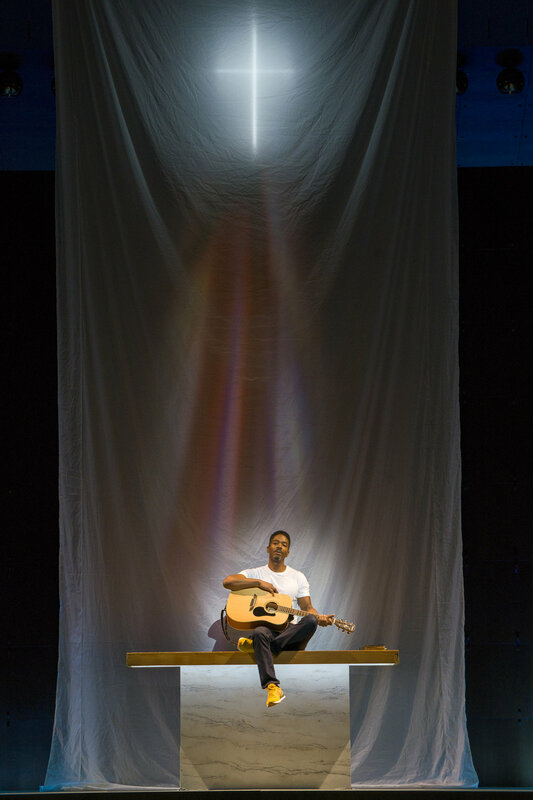 "This production, directed by Elkhanah Pulitzer...winningly emphasized theatricality and dramatic intention, while keeping musical values gratifyingly front and center...The piece is a grand, glorious, groundbreaking and enduring work of art with a unified and unifying vision that packs an enormous musical, emotional, and spiritual punch for anyone lucky enough to experience it." 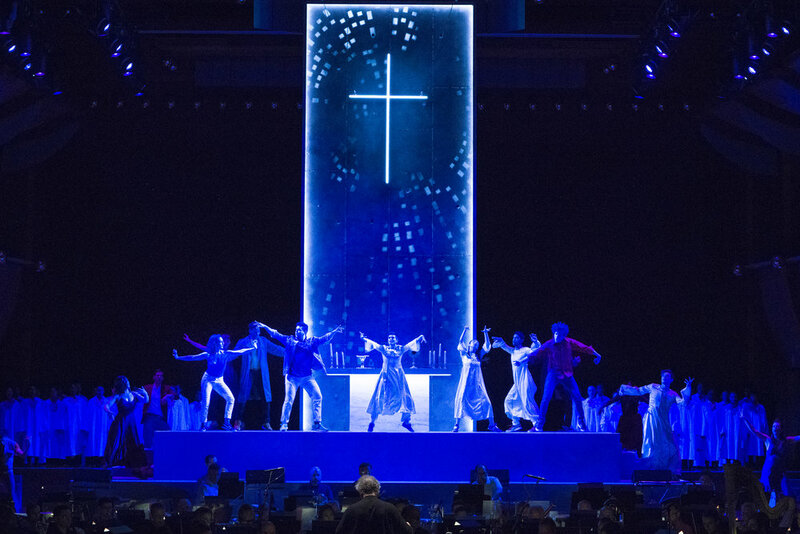 The 10 Best Classical-Music Performances of 2018: "Even among aficionados of Leonard Bernstein, his rock-opera ritual from 1971 has a tendency to trigger eye-rolls, like the musical equivalent of hippie love beads. 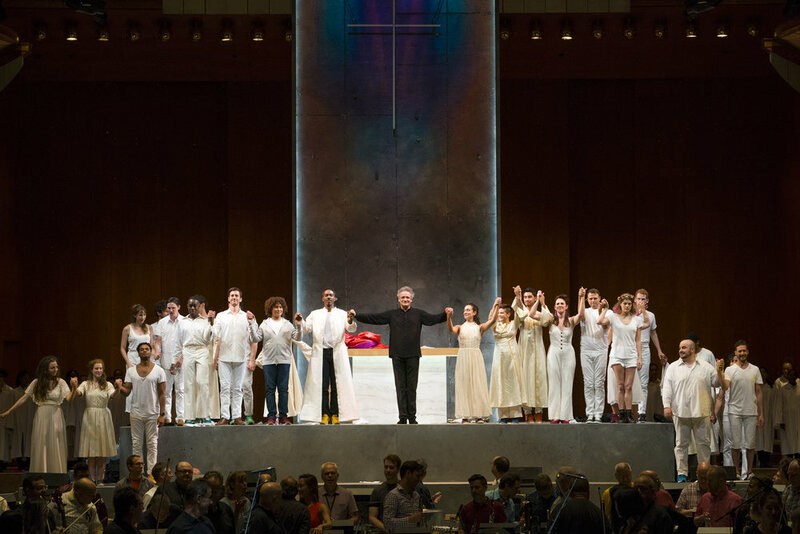 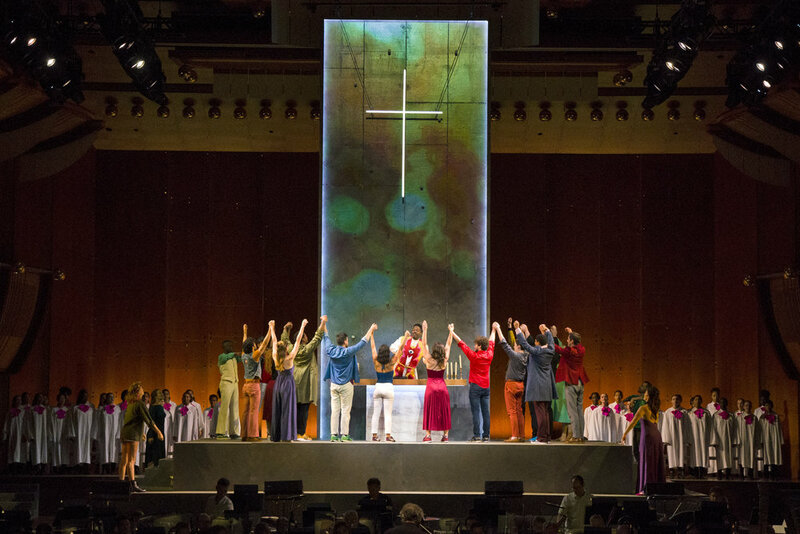 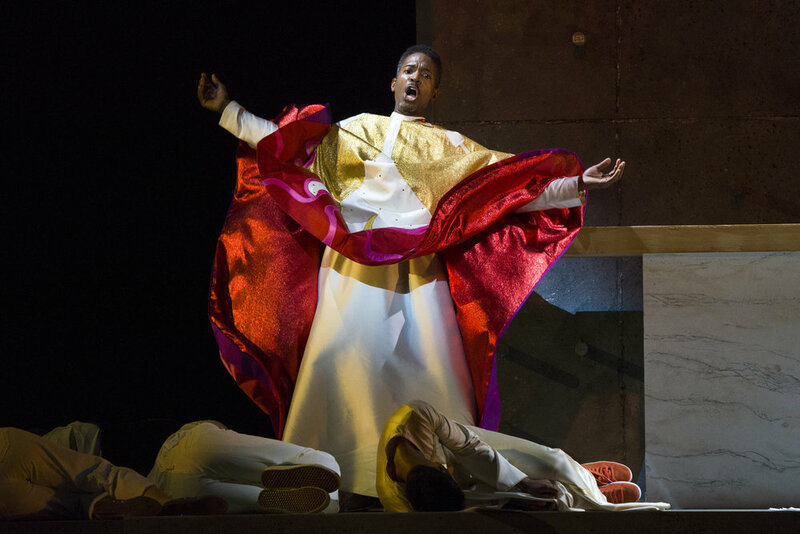 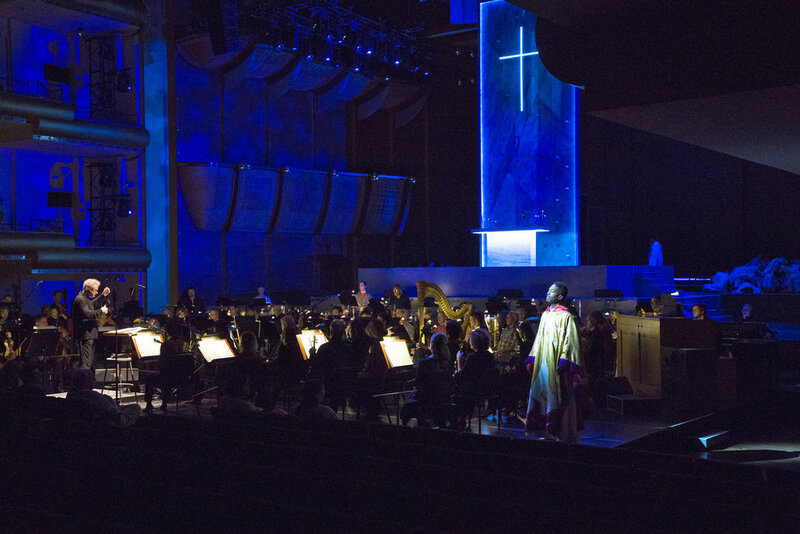 But the Mostly Mozart Festival’s convincing revival, conducted by Louis Langrée, with Nmon Ford as the Celebrant, culminated in a blissed-out finale, with recitations of “Lauda” tolling like a scattered choir of church bells and a reverent chorale.."